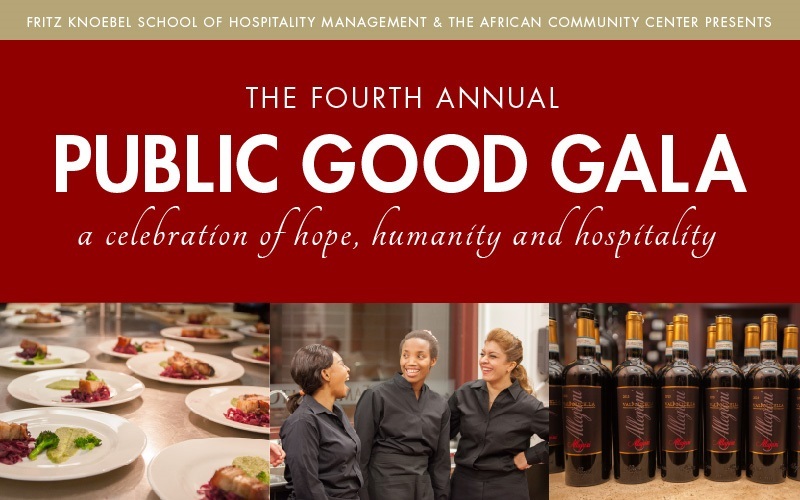 The Public Good Gala is a collaboration of the Fritz Knoebel School of Hospitality Management and the Ethiopian Community Development Council/African Community Center (ACC) in Denver. Offered since 2012, this innovative program helps refugees develop the skills and knowledge needed to obtain jobs in the food service industry. The evening will include hors d’oeuvres followed by a four-course dinner with each course paired with wines from Ceja Vineyards, served by refugees working alongside our hospitality students. The evening's menu will be under the direction of featured guest chefDavid Patterson of The Broadmoor. Cocktails, Hors d'oeuvres & Silent Auction | 5:45 – 6:45 p.m.
Four-Course Food & Wine Pairing Dinner | 7 – 9 p.m.
For information, contact Aimee Mandolini at aimee.mandolini@du.edu. 2nd Annual International CITY Talent Night!